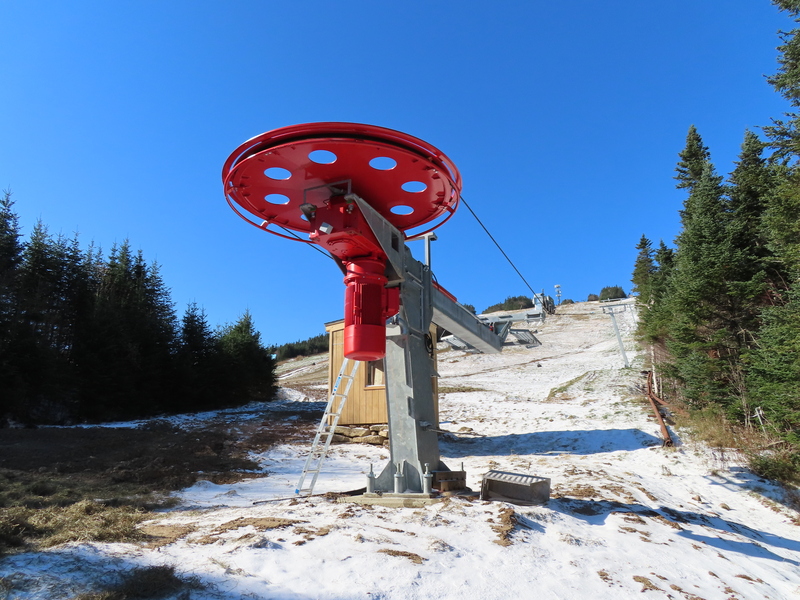 Three people injured in a March 2014 de-ropement on a Mueller double chair at Crystal Mountain, BC have filed claims against the resort. The BC Safety Authority’s investigation found the cause to be low tension in the haul rope due to the lift’s counterweight resting on the ground. Crystal Mountain has been closed ever since. Wolf Creek’s owner still floating the idea of a low capacity jag-back tram on the backside of the mountain. Re-opening plan for Antelope Butte Ski Area moves forward with two Riblet doubles scheduled to be back in operation by December 2017. 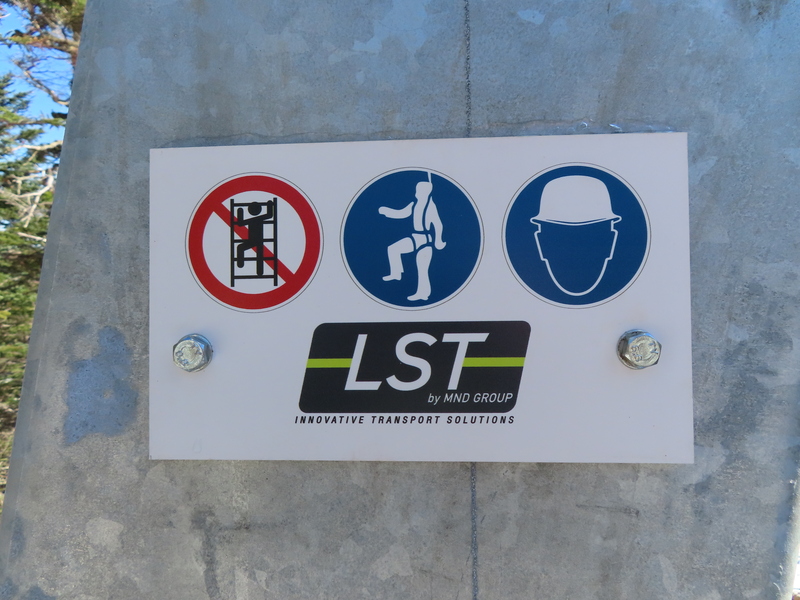 Another child falls from a chair, this time on the Glacier Express at Lake Louise. 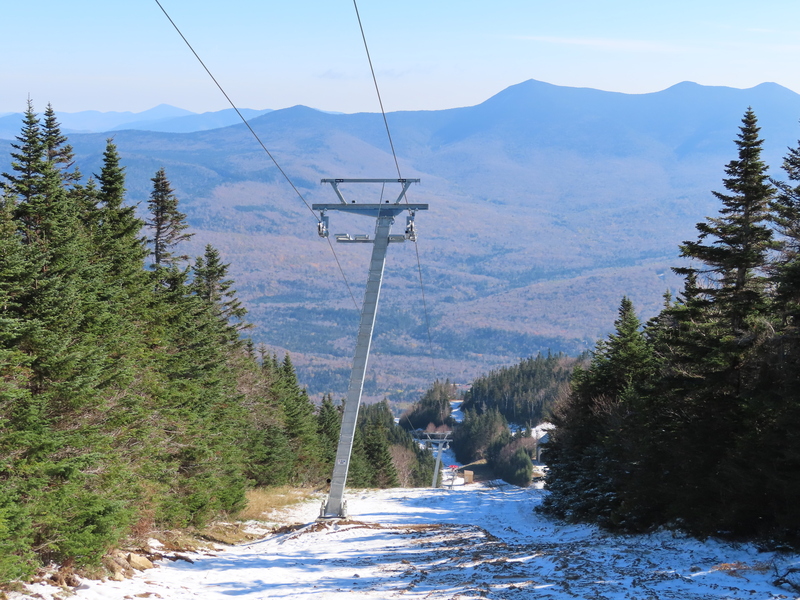 Saddleback is probably the largest ski resort ever to go out of business. A group has formed in opposition to Arapahoe Basin’s proposed Beavers expansion, which would include a new chairlift. 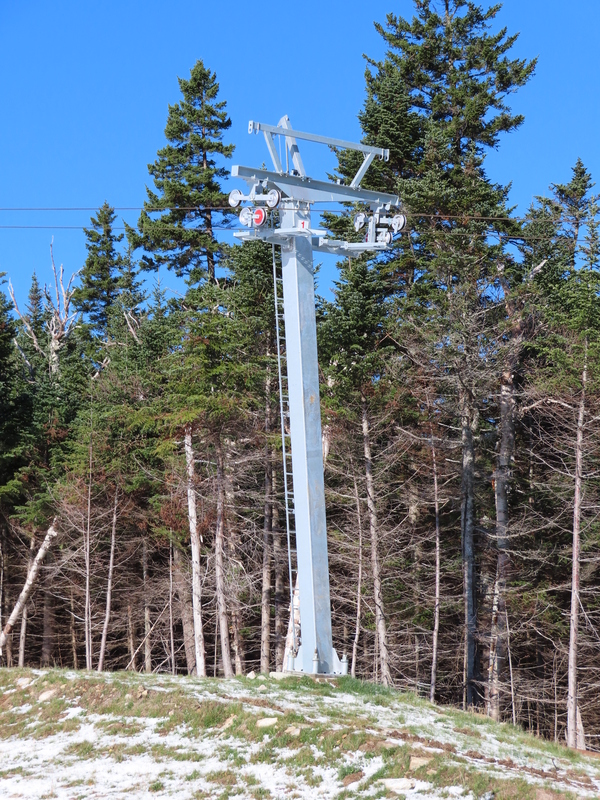 Killington’s Skye Peak Express had to be rope evac’d Friday afternoon, possibly as a result of damage from a thunderstorm the day before. 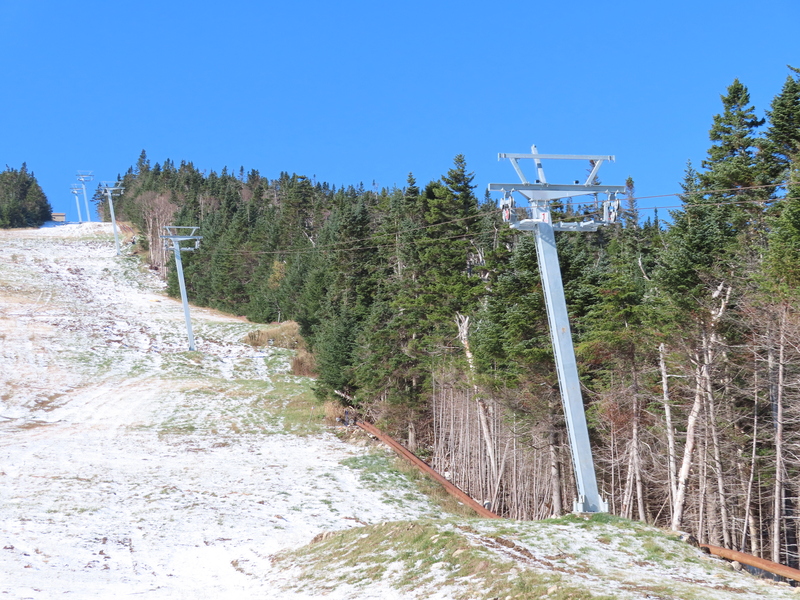 Sugarloaf Mountain Resort announces a new director of lifts to oversee maintenance and operations after two high-profile lift accidents. He’s not exactly a Boyne Resorts outsider. 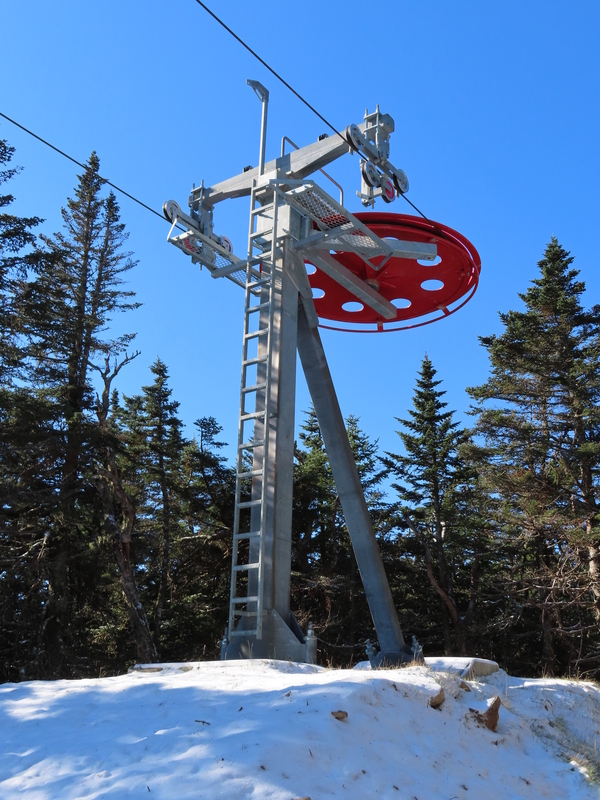 Finally some news from Saddleback; the owners are in negotiations with four potential buyers and this season may or may not happen. Talk about bad press. Group hoping to reopen the Antelope Butte ski area near Sheridan, Wyoming will make a down payment to the Forest Service within two weeks. The area has two Riblet double chairs that last operated in 2004. A national park in South Korea may be getting a $39 million 10-passenger gondola, the country’s 155th ropeway. South Korea will also be hosting the next Winter Olympics. 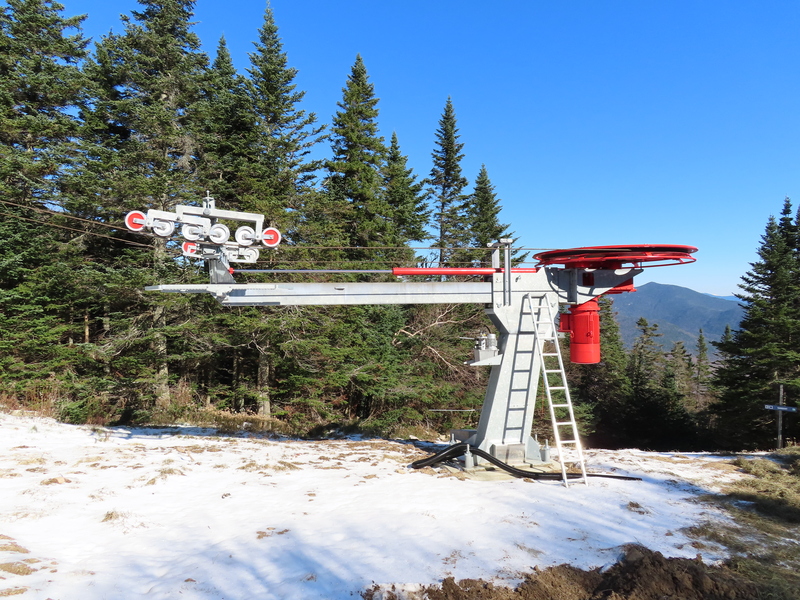 Parts for the new Ptarmigan lift are on site at Loveland, CO.
Mont Cascades in Quebec makes solid progress on replacing their TC double chair with a Doppelmayr quad. 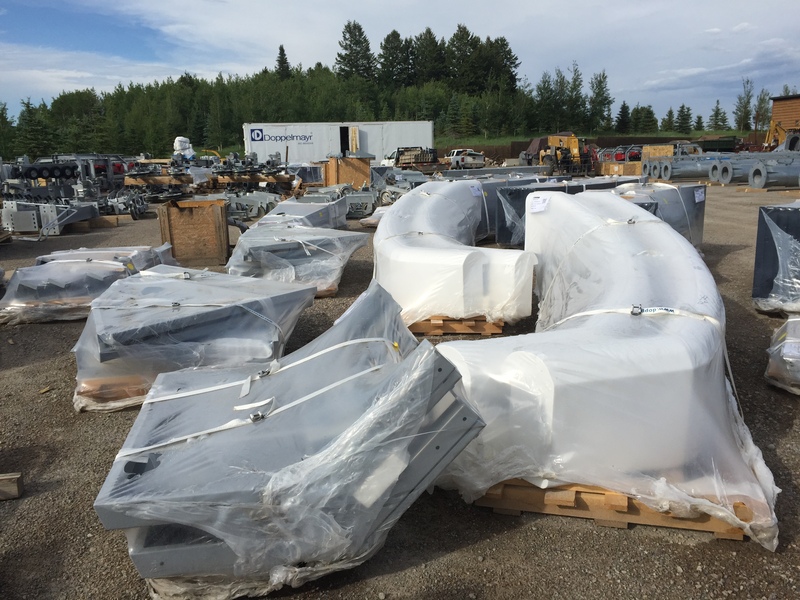 A sea of lift parts converge from St. Jerome, Salt Lake City and Wolfurt in Jackson Hole’s parking lot. 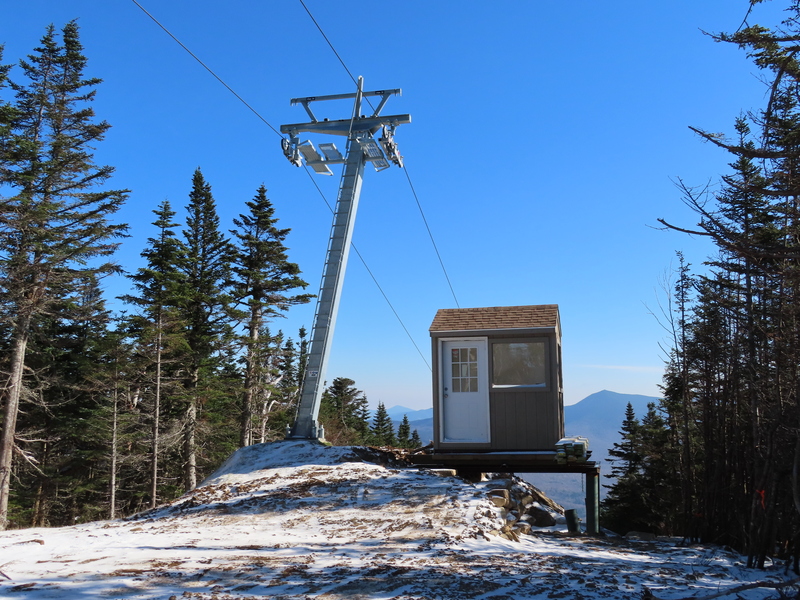 Lifts from two resorts in Vermont arriving to be re-used at West Mountain, New York. Solitude Mountain Resort will join Park City and Alta in getting new trail maps painted by James Niehues for 2015-16. Reopening planned for another long-lost ski area in Wyoming. The last one to get new life was Sleeping Giant near Cody. Mont Blanc’s two new Doppelmayr aerial trams open for business, taking riders up 7,000 vertical feet in ten minutes. Up in British Columbia, Jumbo Glacier Resort is dead, Valemount Glacier Destination is not. A really, really bad Photoshop job of a gondola proposed to be built in Amsterdam. A 2.2 mile gondola project is moving forward in a Malaysian national park despite the objections of environmentalists.